Sharks center Joe Thornton looks to help the Sharks avoid an embarrassing collapse. It should come as no shock that the Los Angeles Kings and San Jose Sharks are preparing for a Game 7 of their first-round series considering how tightly contested this fierce California rivalry has been over the last few years. The surprise is how the teams got to Wednesday night’s win-or-go-home game. The Sharks were dominant early, winning the first three games and making former playoff MVP Jonathan Quick look rather pedestrian as he allowed 16 goals in those losses. But the Kings responded to win three straight games by three goals to force the showdown in San Jose for a spot in the second round against Anaheim. ”We understand what’s at stake,” Sharks forward Joe Pavelski said. ”There was the possibility the series was going to go to seven. We probably didn’t think it was going to get there this way, but we’re here now and guys will be ready to play. The Kings are the ninth team to force a Game 7 after losing the first three games. Three of the previous eight finished the job although the Sharks can take solace in the fact that they avoided that same collapse in 2011 when they rebounded from three straight losses to beat Detroit 3-2 at home to advance to the Western Conference finals. San Jose jumped on top early that game with two first-period goals before holding on for the win. Getting an early lead Wednesday would most definitely ease any nerves as the Sharks haven’t had a lead at any point in those three losses. That has allowed the normally stingy Kings to tighten things up even more defensively, and eliminate all those odd-man rushes that fueled San Jose’s 13-goal outburst in winning the first two games. Williams scored two goals apiece in games 4 and 6. He also scored both Los Angeles goals in a 2-1 win in Game 7 of a second-round series against the Sharks last year, giving him five goals and four assists in four career Game 7’s that were all won by his team. Another performance like that could help the Kings join Philadelphia (2010), the New York Islanders (1975) and Toronto (1942) as the only teams to overcome a 3-0 deficit to win a best-of-seven series. It's playoff time! 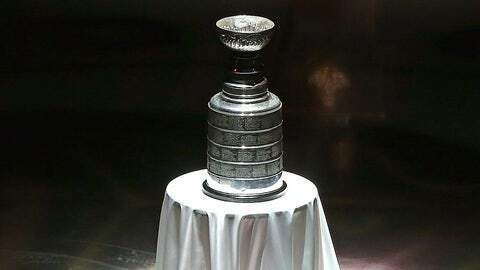 Enjoy the thrills and chills as Stanley Cup hopefuls battle for the coolest trophy in sports. This series has played out in stark contrast to last year’s roller-coaster seven-game series won by Los Angeles when goals were at a premium and the home team won every game. The Sharks outscored the Kings 13-5 to win the first two games at home and took a stranglehold on the series when Patrick Marleau’s overtime goal gave them a 4-3 win in Los Angeles in Game 3. But the Kings responded with a 6-3 win in Game 4 and a 3-0 victory in San Jose in Game 5 before scoring three goals in a span of 2:46 midway through the third period to win 4-1 on Monday night. 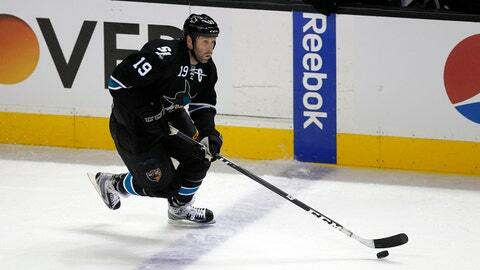 Los Angeles has held San Jose’s stars like Thornton, Pavelski, Marleau and Logan Couture in check the last three games. ”We have to get a winning performance out of a lot of players who maybe have not had that over the last little bit but we’re counting on it tomorrow,” coach Todd McLellan said. McLellan would not say which goalie he will be counting on. Rookie Alex Stalock replaced Antti Niemi in goal to start Game 6 and stopped 26 of 30 shots but kept San Jose in the game early. NOTES: McLellan did not have an update on the status of star D Marc-Edouard Vlasic, who missed Game 6 with an upper-body injury. … The Kings could be without D Willie Mitchell, who left in the second period Monday with an undisclosed injury.